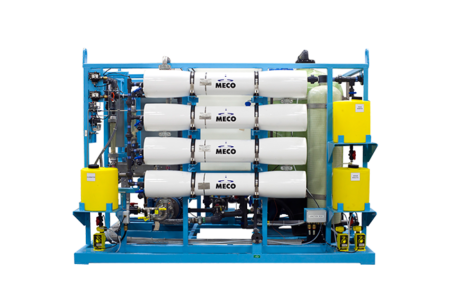 MECO installed a 3,250 gpm (4.7 MGD) reverse osmosis plant for Georgia Gulf Corporation at its largest facility in Plaquemine, La. 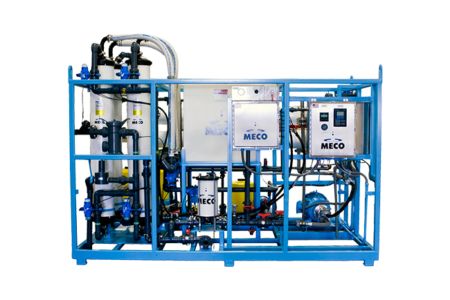 This is one of the largest industrial RO systems installed in the Gulf South region of the United States. 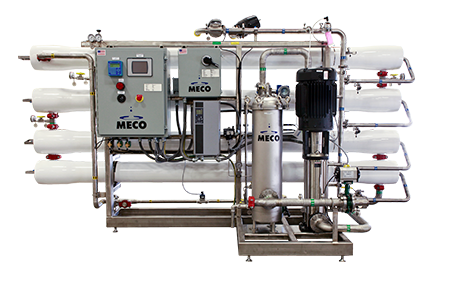 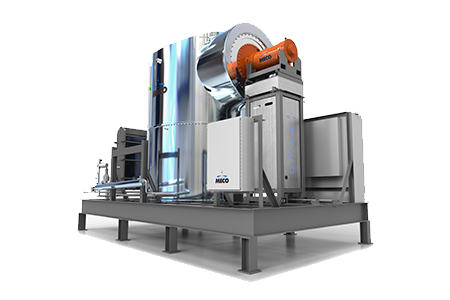 The plant is integrated into the existing Deionization (D/I) System. 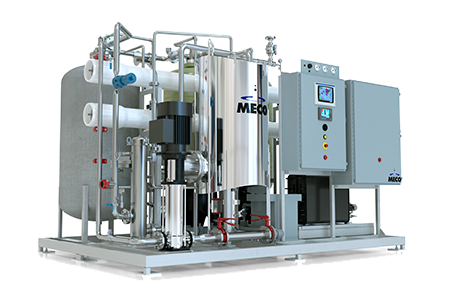 The RO plant reduces the operational costs of the D/I system by over 90 percent and generates a capacity increase of more than 25 percent. 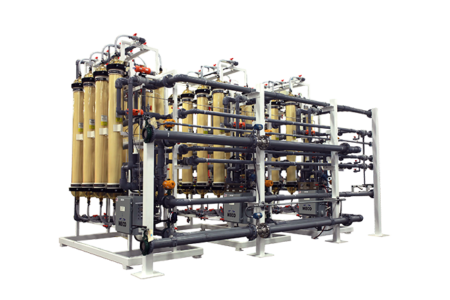 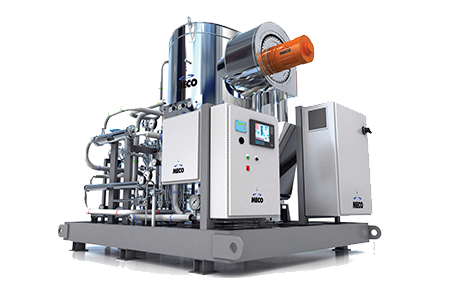 The reverse osmosis plant was provided as a complete turnkey project, including civil works, pretreatment, filtration, electrical power and automated control utilizing PLC technology. 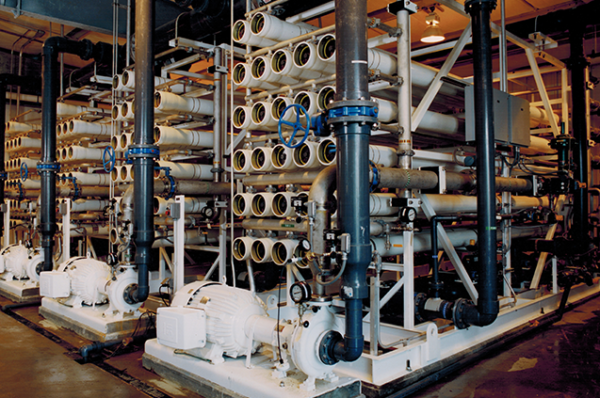 The plant is housed in a climate-controlled building to increase reliability and minimize maintenance requirements. 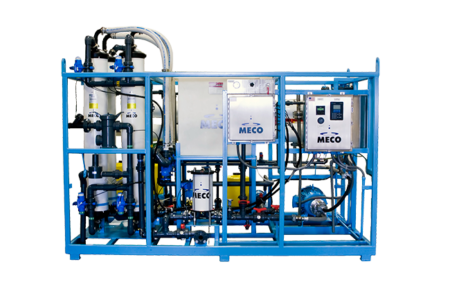 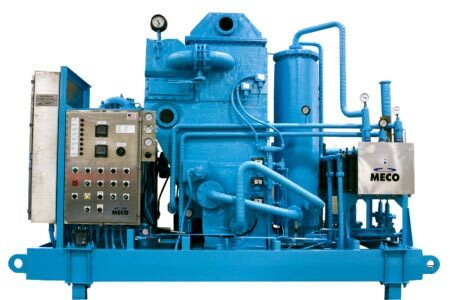 The RO system incorporates many of the latest technological developments such as the use of low pressure (energy saving) membranes, side entry pressure vessels and advanced anti-fouling chemicals. 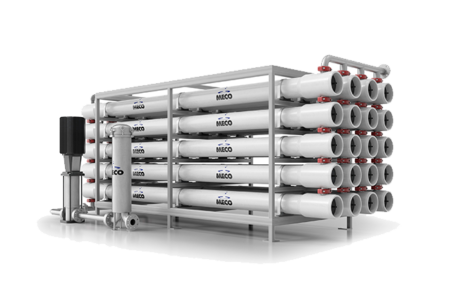 The design incorporates a 75 percent recovery rate and a reduction in total dissolved solids (TDS) of more than 95 percent as measured in the incoming feed water.